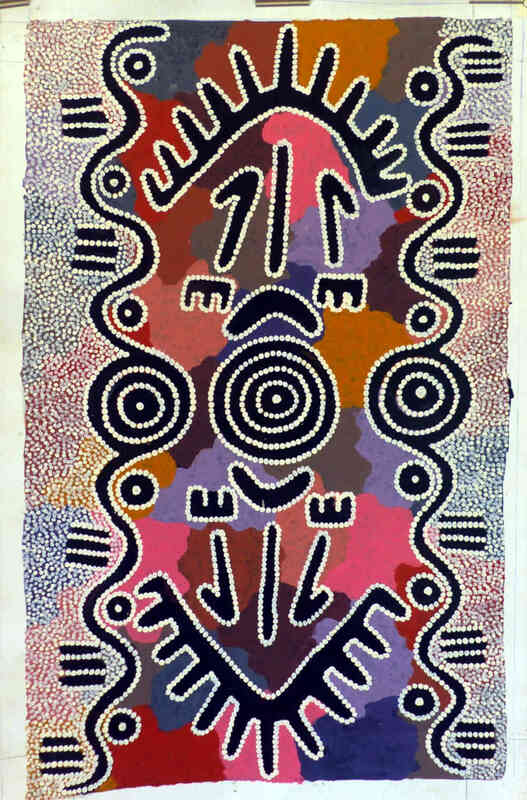 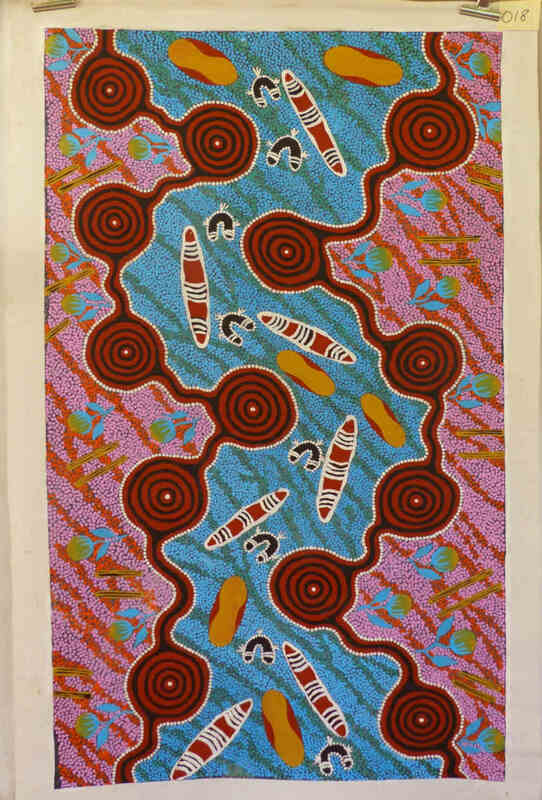 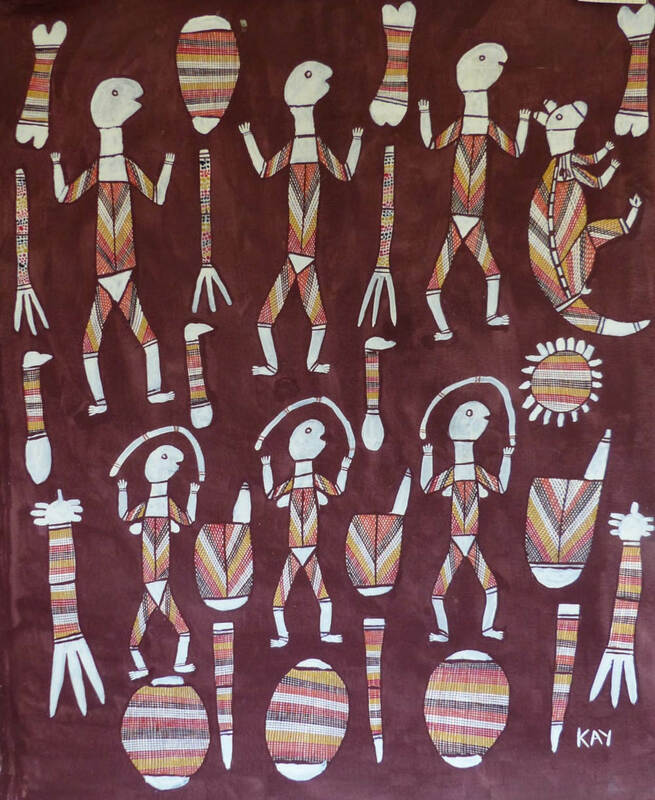 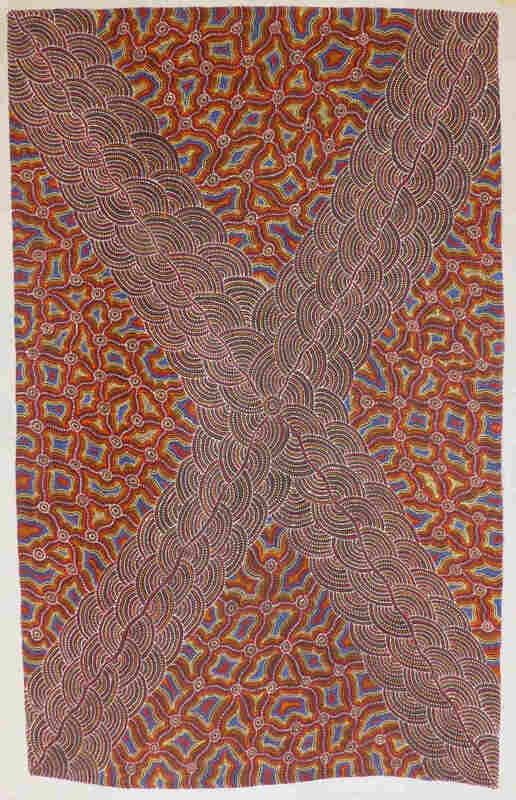 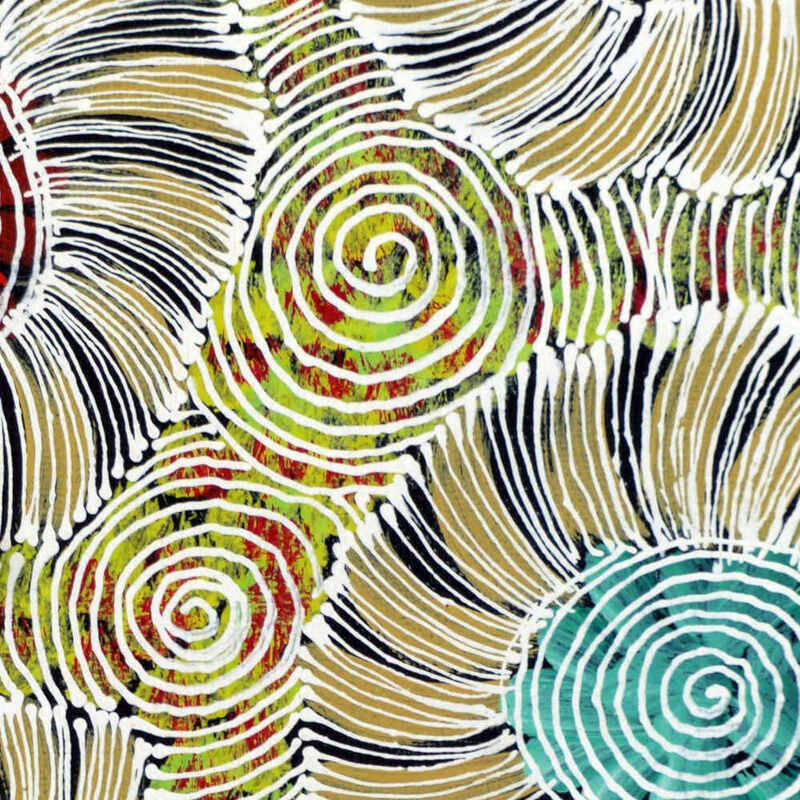 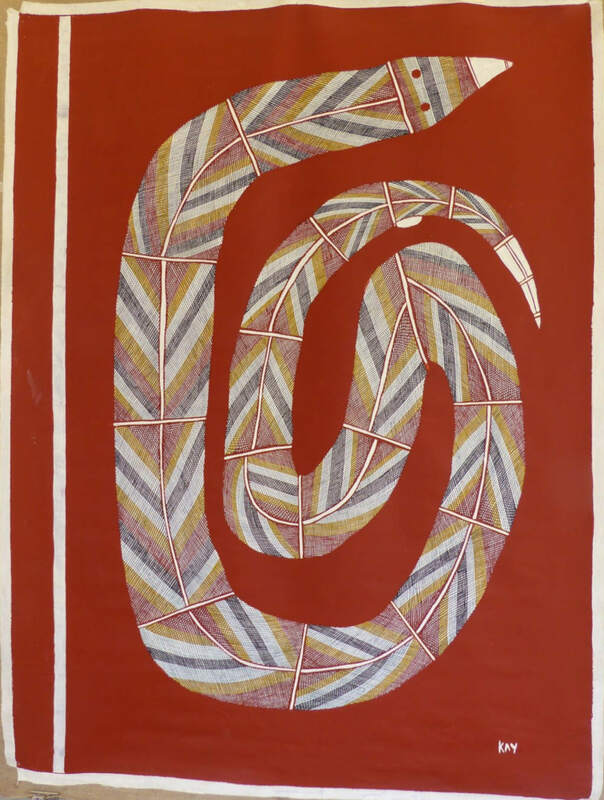 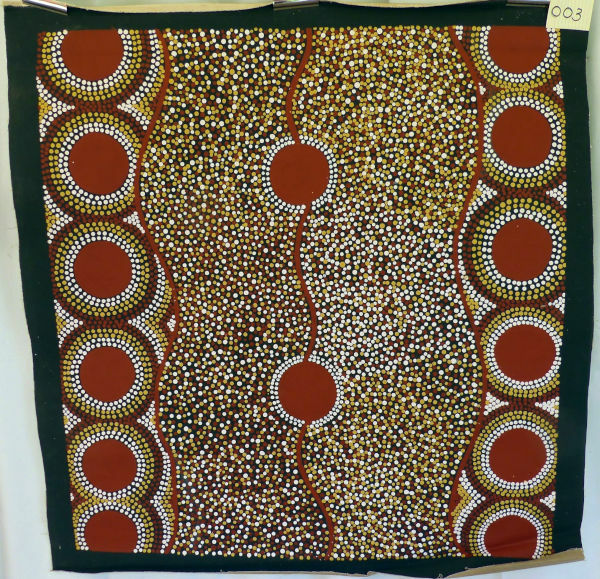 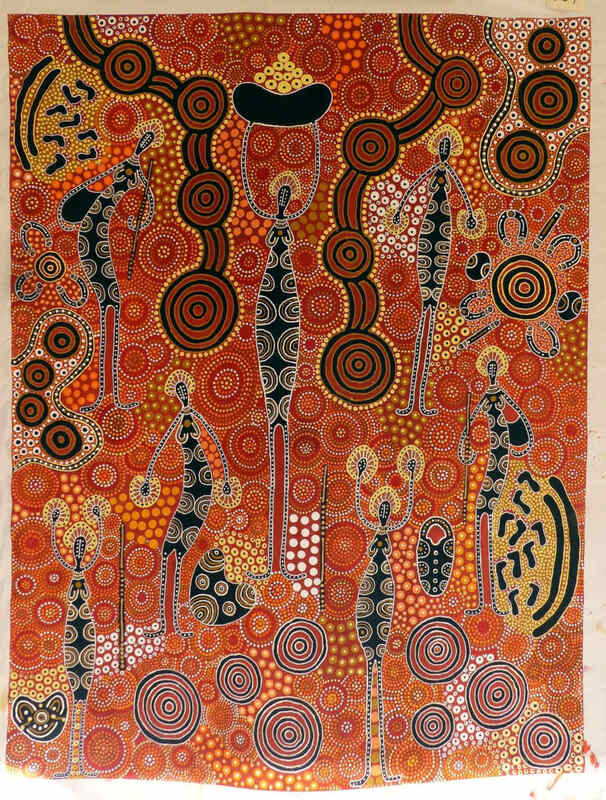 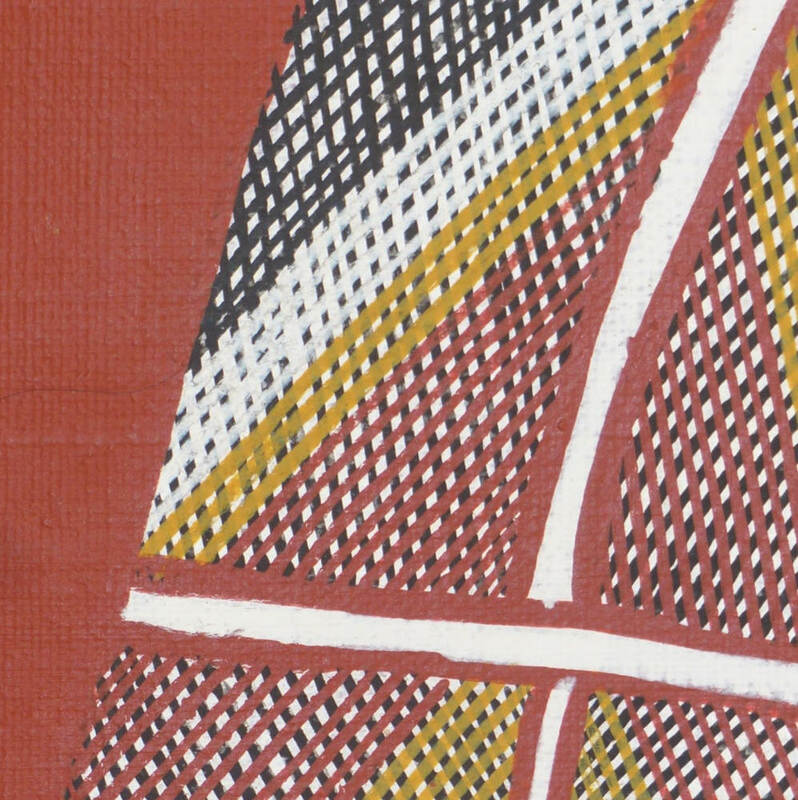 Aboriginal Art from Australia's Northern Territory is famous world wide for it's strength and originality, displaying the depth of a 65000 year old culture. 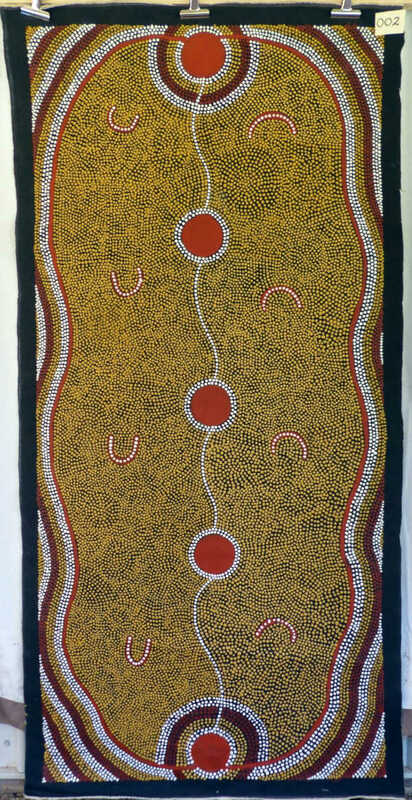 Their art takes many forms, some using traditional materials such as bark and ochre and some using more modern materials such as canvass. 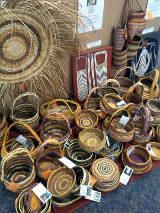 Irrespective of the materials used, the timeless beauty shines through. 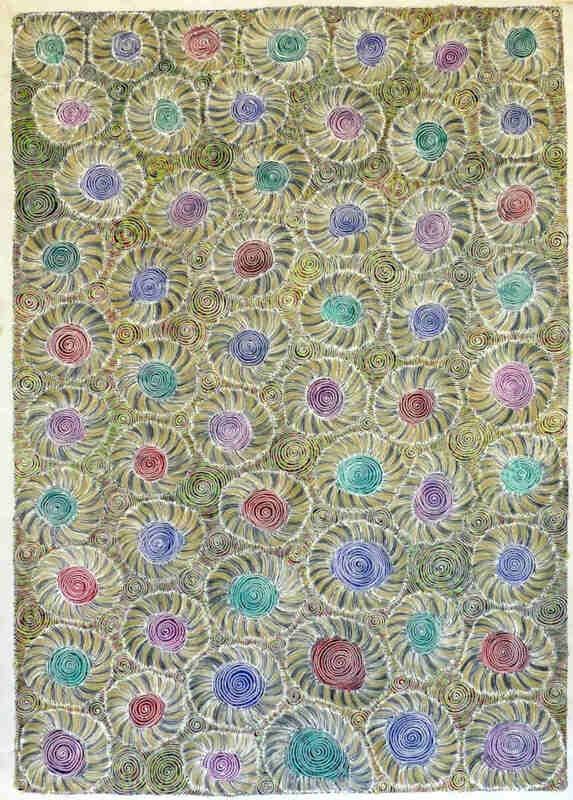 絵をクリックすると拡大してみることができます。Click any painting for gallery view.